The next air superiority platform—the Penetrating Counter Air aircraft—is “not a fighter,” insists the Air Force officer whose team came up with the concept, but will rather be a key flying sensor platform with lots of weapons and long range that will enable USAF’s existing fighters. One would think the "existing fighters" situation circa 2030 would be borderline desparate by then: Aging F-22's and F-15's that are geriatric. The F-35? Thought we were using those for air to ground. This would be a fundamental (HUGE fundamental) shift in how air superiority is defined. Talkitron, we're reading this differently. You take "not a fighter" to mean unmanned; I take it to mean something to the effect of a B-21 variant designed to support fighters with sensors and additional munitions, basically a VLO Megafortress-like platform. Remember the 'arsenal ship' concept? southernphantom wrote: Talkitron, we're reading this differently. You take "not a fighter" to mean unmanned; I take it to mean something to the effect of a B-21 variant designed to support fighters with sensors and additional munitions, basically a VLO Megafortress-like platform. Remember the 'arsenal ship' concept? The article did say that the PCA aircraft has some overlap with the B-21. However, it also said that they will not be the same aircraft. I do agree though. This aircraft seems to have a requirement for incredible range and endurance. As such it would likely be quite different in general dimensions to that of a classical 'fighter' even with miniaturized munitions and AETP-derived engines. PCA while similar to a strategic bomber, it will not be a strategic bomber. 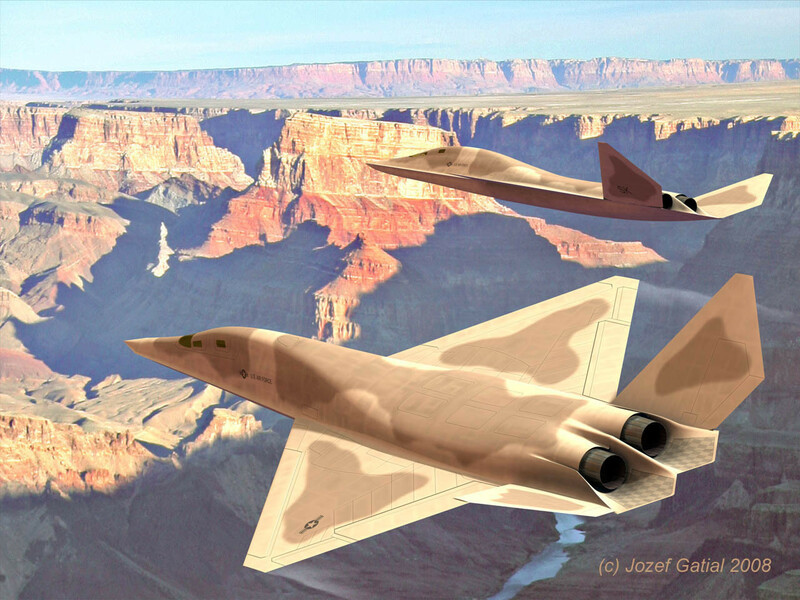 PCA while similar to the fighter will not be a F-22 (Red Baron/ air-air combat) fighter. PCA should be unmanned/autonomous with drone pilot intervention. IMHO The PCA will be a 21st Century F-4. If you read the AFA mag article it will be multi-role and as the article mentions not an arsenal plane. I don't think AI software is anywhere near the point on taking on the replacement of a human making decisions on such missions. The use of autonomous air vehicles (other than cruise missiles) in denied air space has yet to be seen. What the PCA may do is truncate the F-35 buy. If they hold off the replacement of the dedicated Wild Weasel units until the late 2020's they PCA may be the aircraft of choice. That is not to say that the F-35 units can't perform the mission today and in the 2020's but if the AF wants to procure the PCA in sufficient numbers think they will need to highlight it's multi-mission capabilities to prevent what happened to F-22 procurement. The link to the Air Force Magazine page I originally posted is messed up. Here is the correct link, hopefully. Yeah, I agree that a manned B-21 derivative is possible based on the article. Sorry for leaping to unmanned. We're hearing about it possibly being unmanned, possibly NOT being a fighter sized aircraft. The range and payload specs speak to that. Artificial intelligence, possible directed energy weapons... This sounds like a bigger jump forward than the F-22 was vs. the F-15 (and that should scare some people)! Personally, I'd love to see an enlarged YF-23a. Something around 25% bigger with a 2nd crewman for those long duration, high workload/demand missions over the South China Sea. Maybe even 50% bigger! The airframe was so ahead of its time... Would still look futuristic if it were rolled out today. In theory it'd have new, more powerful engines that would allow it to super-cruise the entire mission (like the old YF-23a did). As far as payload, all they'd need to do is stretch it a bit and a 16-20 AMRAAM load out wouldn't be out of the question. Since the YF-23a has already flown, it's not like they'd be starting from scratch. Precisely what the Air Force specified. You also already have a top notch sensor platform (F-35) to build off of. Only the engine would be brand new, and that's assuming they don't resurrect GE's variable cycle engine that again, which flew several decades ago. YF-23 flew so long ago that it pretty much would be like building a brand new aircraft. The average age of the people that worked on that prototype is going to be pretty high. As such the tribal knowledge affiliated with that airframe will likely be gone. The same goes for the YF-120. tacf-x wrote: ....YF-23 flew so long ago that it pretty much would be like building a brand new aircraft. The average age of the people that worked on that prototype is going to be pretty high. As such the tribal knowledge affiliated with that airframe will likely be gone. The same goes for the YF-120. Well I guess I got what I wanted, with the way our weaponry is going the "traditional" fighter values won't count for as much. Sound's like PCA will be something that the USAF can launch from Guam and maintain air dominance in the south china sea without the help of tankers, that will make the Chinese sweat a little bit. Should be a good replacement for the F-22 and F-15E, but by 2030 there won't be many existing fighters left, seems like the USAF is damn impressed with the F-35A. It's going to be a dead-end project, in my opinion. No clear role, no clear advantage. Technology in weapons, sensors, etc. is moving too fast to start thinking of an airplane today. I think you need to let some of these technologies mature so that you can figure out how to use them and integrate them into an airplane. By 2030 lasers, miniature AAMs, multi-band AESAs may be places we can't predict today. Especially when its not clear that one large airplane would provide an advantage over a swarm of smaller UAVs controlled by fighters. The idea here seems to provide a platform for sensors which can survive "deep" in enemy territory and support 5th gen fighters. Basically a combat AWACS. The armed component is probably secondary. This is the same thing that swarms of UCAVs with sensors would also aim for. I don't think big, expensive and rare is going to be the winning combination here. geforcerfx wrote: Sound's like PCA will be something that the USAF can launch from Guam and maintain air dominance in the south china sea without the help of tankers, that will make the Chinese sweat a little bit.